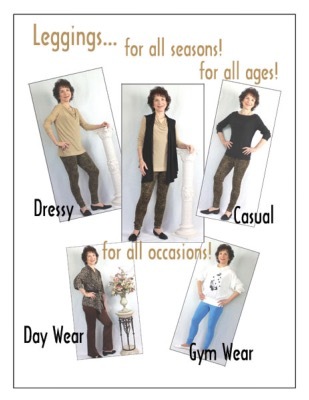 Whether for casual day wear, dressy or gym wear, you'll find that with your SFD Pants Kit master patterns, leggings fit well and are fun to wear no matter your age, shape or occasion. 7 pages chocked full of information. Design Leggings for Two-Way Stretch fabric. Design Leggings for One-Way Stretch fabric. Design Leggings with a CF and CB seam to achieve excellent shaped fit. Learn how to 'puddle' the hem. Learn how to flare the hem. Gives detailed sewing construction steps.